I think I have already talked about this a little while ago but still lots of inspiration coming up. So here's the additional inspiration for blue and white dresses. 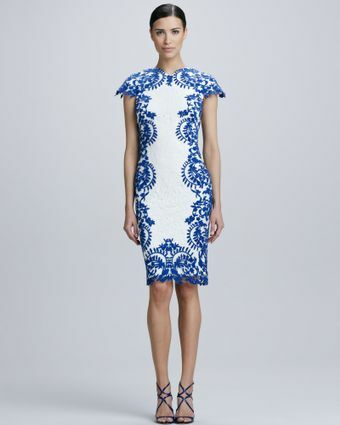 Blue and white modern qipao. Blue and white dress by Oscar de la Renta. Michelle Obama in Tanya Taylor blue and white dress. Duchess of Cambridge was wearing a Lasa Poppy Dress featuring graduated blue flowers at the waistline for her April 19 visit to the RAAF Base Amberley. A vintage blue and white dress. Cindy of Cindiddy and Anya Ziourova in blue and white dress. Blue and white dresses and gowns by Emilio Pucci from various collections. 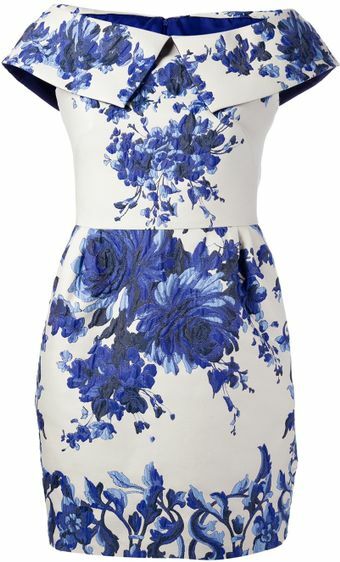 A blue and white summer dress by Pencey. Nicole Kidman and Nyong'O in Giambattista Valli blue and white dresses.